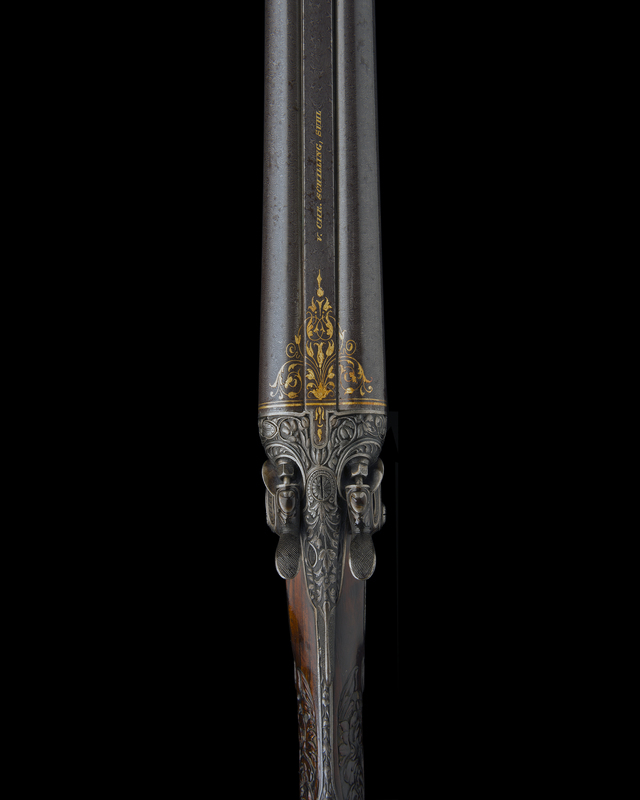 Valentin Christoph Moritz Schilling was born on October 10, 1791 in Suhl, Thuringia to a family that was long involved with Arms making. 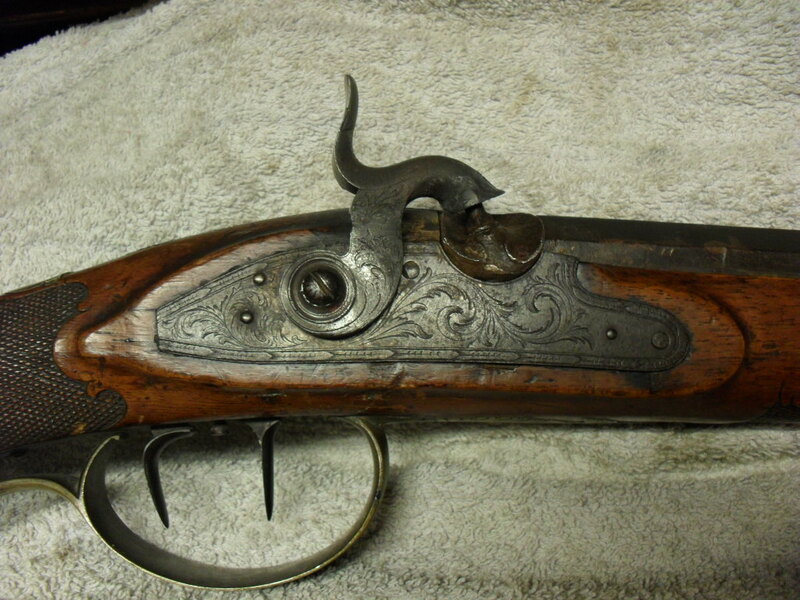 His father Johann Valentin Schilling VIII (Jan. 26, 1752- October 18, 1830) was a Gewehrfabrikant or Arms maker. On October 3, 1778 Johann married Eva Katharina Heinze (Dec. 1751- May 26, 1810). In 1816 Valentin opened a shop at 67 Schuhmarkt strasse in Suhl as a Gewehrehändler or Gun Dealer. On the 28th of November 1830 he married Johanna Margaretha Elisabeth Weiss (April 28, 1803- June 11, 1885). The Weiss family in Suhl had a long history as Arms makers in their own right and she may have been part of that family. Valentin and Johanna had four sons- Heinrich Albert (Dec. 22, 1832- Sept. 8, 1914), Wilhelm Otto (Aug. 12, 1834- July 29, 1873), Christian Theodor Moritz (Jan. 30, 1836- Dec. 17, 1930), Gustav Gebhard Emil (Feb. 28, 1840- Dec. 21, 1923). 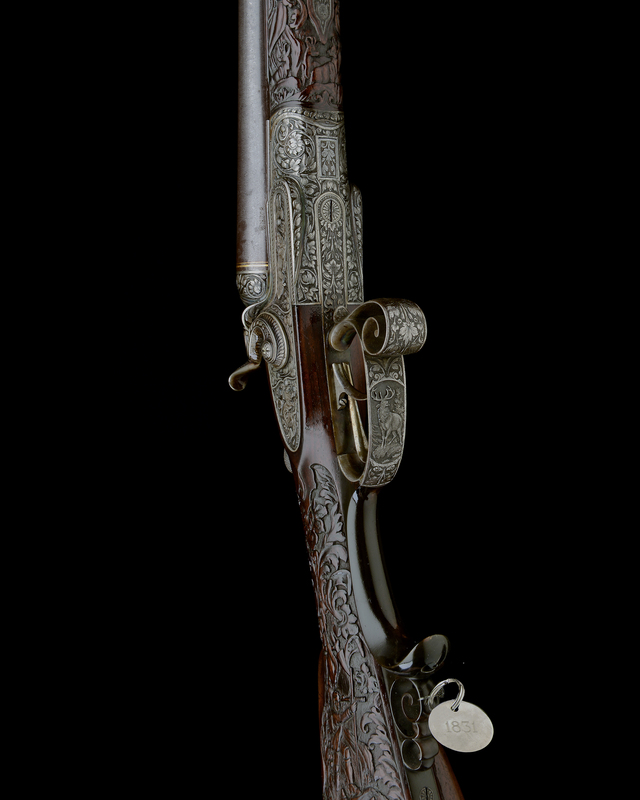 In 1842 Valentin became a Arms Contractor to the Prussian State and Started the firm V. Chr. Schilling, Militär und Luxus Waffen Fabrik. 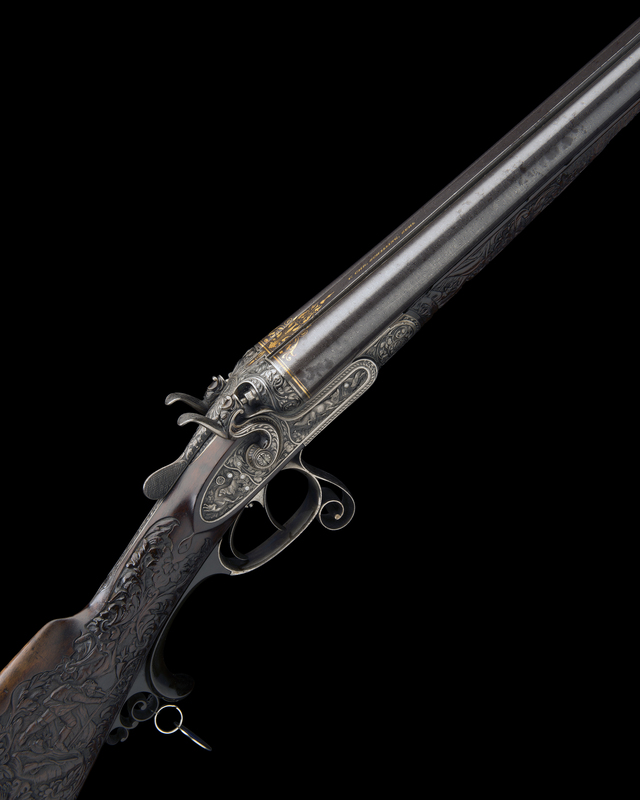 A consortium of three weapons manufacturers- Spangenberg, Sauer & Strum, C. G. Haenel and V. C. Schilling was established in 1849 to equip the German Imperial Fleet with Model 1849 Navy rifles and pistols. This co operative relationship among Suhls leading makers continued until 1884 when Johann Paul Sauer decided to leave the trio. 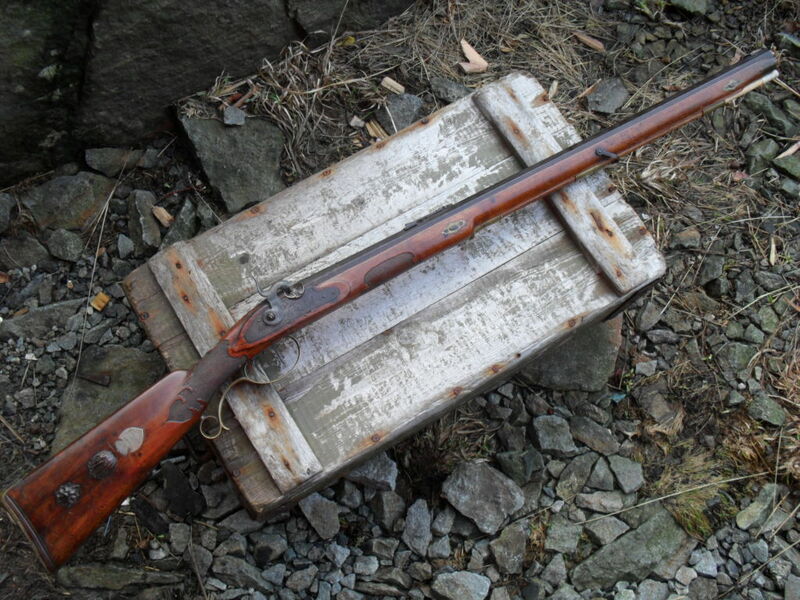 They had been making the model 79 and model 83 imperial revolvers . 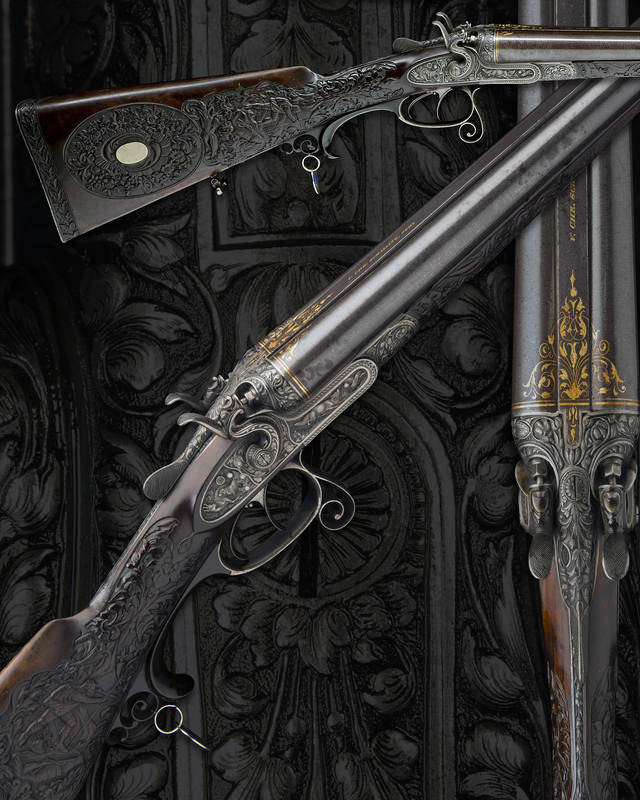 While the main product of the Schilling firm appears to be military weapons, the need for high quality sporting guns was not ignored. 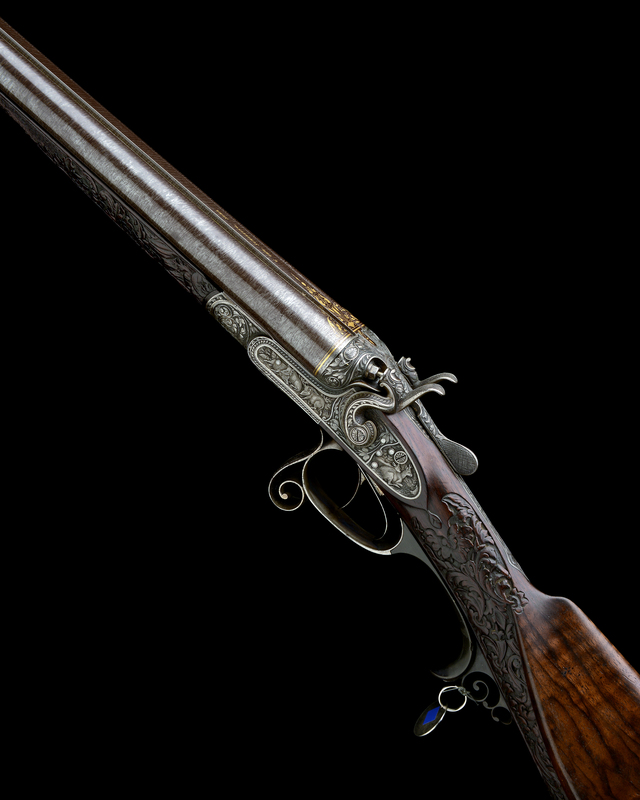 While Schilling sporting guns are not as common as J. P. Sauers or Kreighoff’s, the examples that are seen are of an exemplary standard. 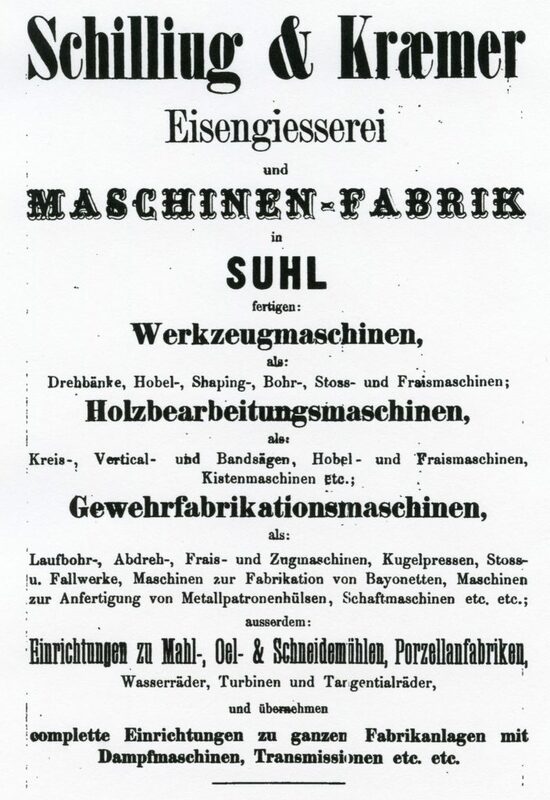 In 1863 the Berlin firm of C. B. Merrem advertised that they carried the products of the Schilling firm. An advertisement for Val. Chr. 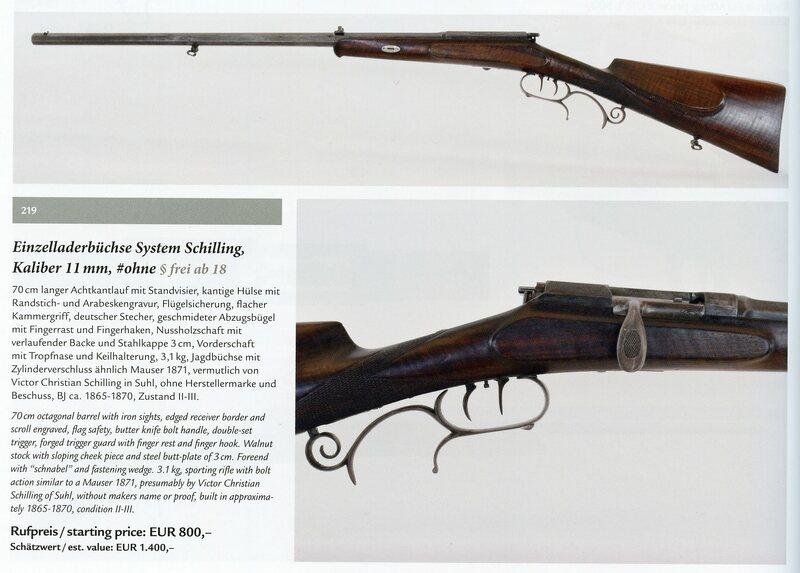 Schilling guns sold by the C. B. Meeem firm in Berlin. From the Aug. 12, 1863 edition of Landwirthschaftliches Anzeigeblatt. According to the 1873 edition of the Handook of Industry, Vol. I Robert Kraemer (Aug. 10, 1821- Oct. 4, 1914) founded his Machine Factory in 1849. In 1863 Valentin Christian Schilling became a partner in this firm and the name was changed to Schilling & Kraemer. They manufactured many machines for the metal working industry and in particular for the weapons and firearms industry. 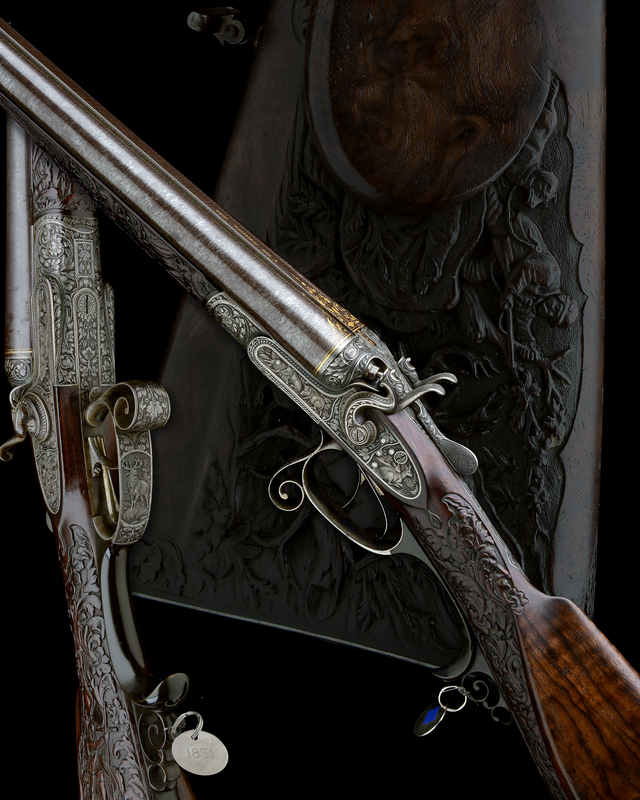 An example of their splendid rifling machine can be seen in the Archive page for Max Ern. In 1904 the firm took over the manufacture of the Germania typewriter. This story is by no means complete, and will be added to in the future as I can get material interpreted from the German text. 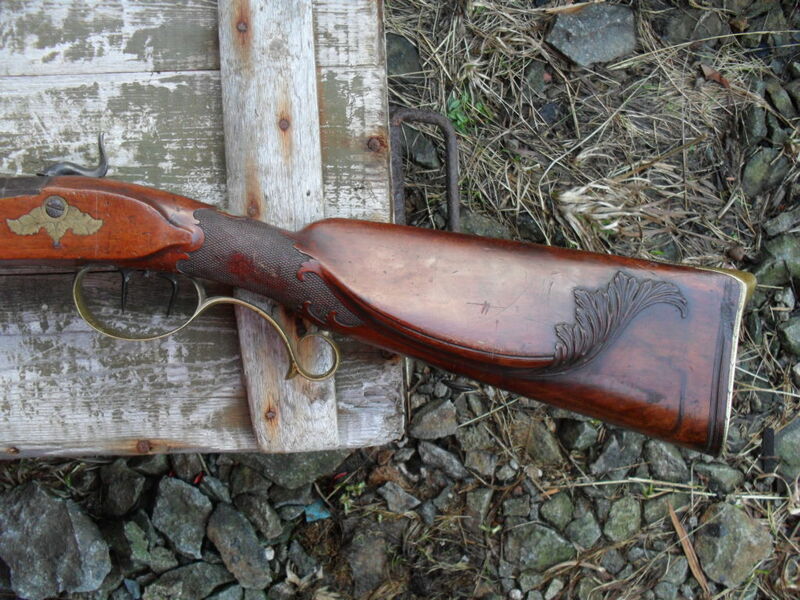 The following images of a 16 ga. high grade shotgun by Val. Ch. 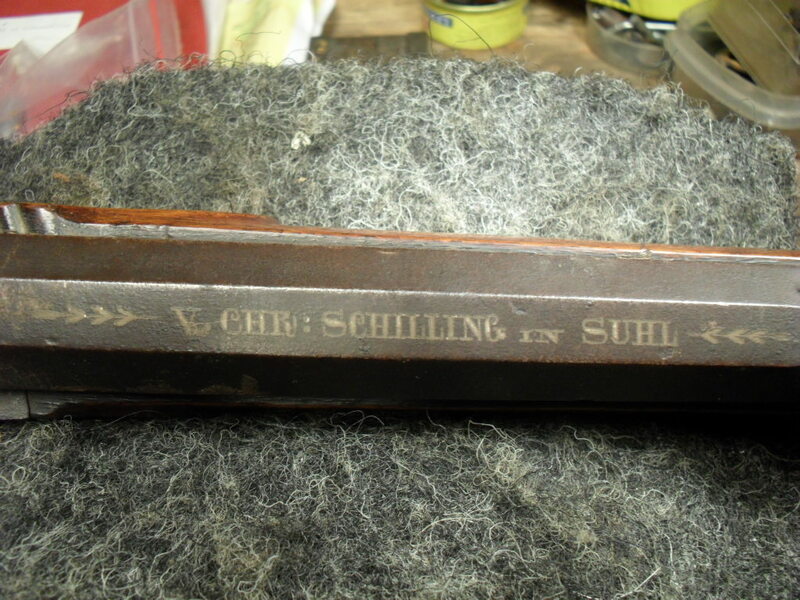 Schilling is courtesy of Holts Auctions. © Holts Auctioneers- ©Andrew Orr- Holts Auctioneers. 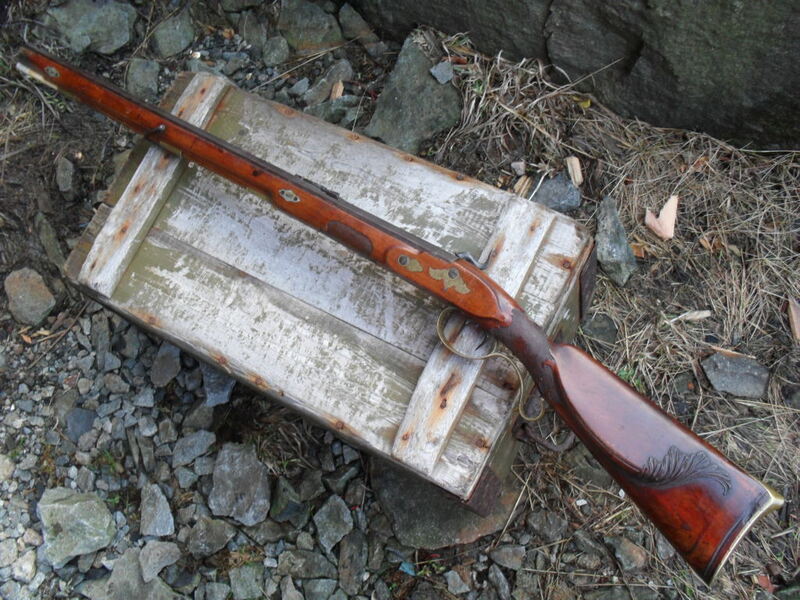 The following images of a percussion Jaeger rifle by Val. Chr. Schilling were found on line.